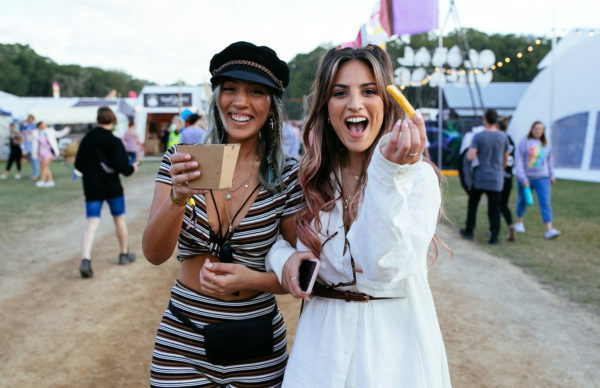 Australia’s biggest skate event is back for it’s 2018 edition with free music, booze and world-class skating. 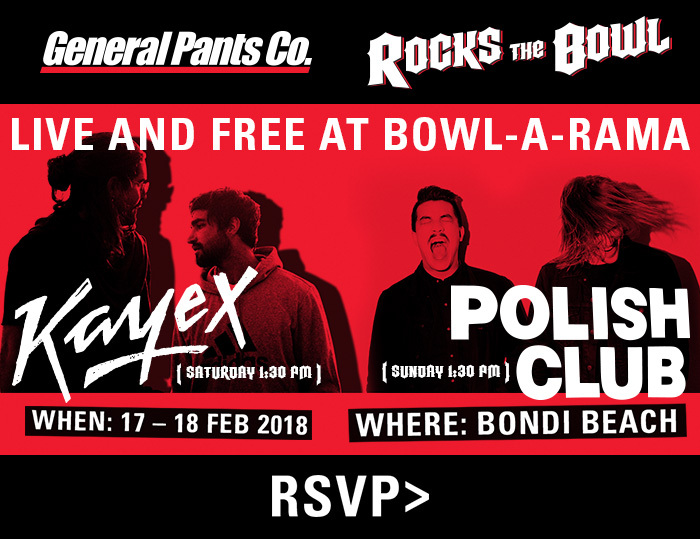 It’s that time of year once again and General Pants are throwing in all the freebies to make this year’s Bowl-A-Rama one of the biggest yet. 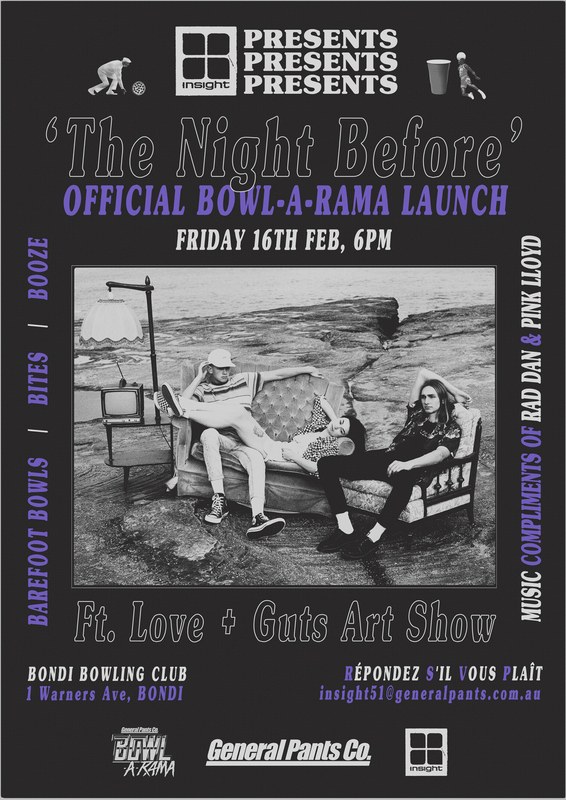 It all kicks off this Friday night with Insight hosting a launch party at Bondi Bowling Club with free drinks, food, bowls and the return of the Love & Guts art show curated by skate legend Pat Ngoho and will feature custom works created by the riders for the exhibition. Send your name to insight51@generalpants.com.au today to get your name on the list. 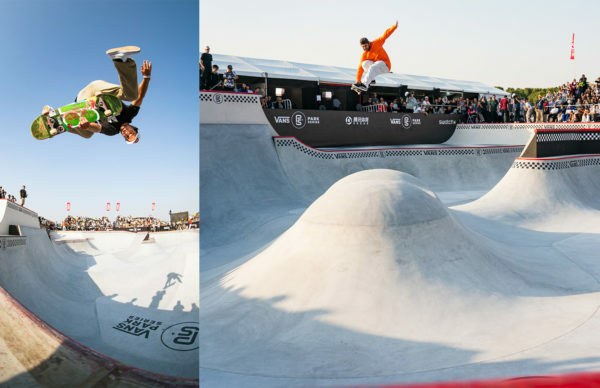 For the main event we’ll be hitting the skatepark on Saturday and Sunday to catch some of the biggest names in skating tearing our beloved bowl a new one with musical accompaniment from electro lords Kayex (Saturday) and Sydney rockers Polish Club (Sunday). Grab yourself a patch of grass, sit back and enjoy the entertainment. There’ll be loads of Insight giveaways, rider signings and official merch at the General Pants pop-up too, just follow the link and click attending to get amongst the action.